The Bay of Plenty Times, the regional daily paper for the Bay of Plenty, a region of New Zealand, has unveiled a exclusive article about Te Puke residents Kaharoa (or Kaha) Takuira-Mita and Zion Nicholas, two 'Kiwi Cuzzies' who will be one of the five teams who will be taking part in this years brand-new series of "Camp Orange", season 10, called "Camp Orange: Force 10", which Nickelodeon Australia and New Zealand will start to premiere and show from Tuesday 10th June 2014 at 5:30pm! 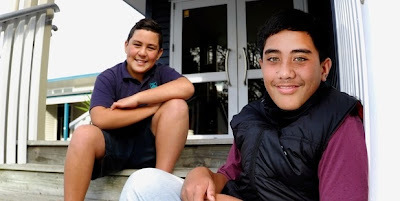 Te Puke cousins Kaharoa (or Kaha) Takuira-Mita and Zion Nicholas will feature on a Nickelodeon reality TV show starting next month after beating thousands of hopefuls for a spot on it. Camp Orange is a reality game show that brings best friends together and celebrates kids being kids in the great outdoors. Focusing on positive fair play, teams compete for cool prizes and experiences but ultimately aim to be voted "Champ Orange", awarded to the best and fairest team. This year, 7000 children entered, hoping to be a part of the series, with one other duo coming from New Zealand. Kaha and Zion entered the competition late last year after watching the series for the first time. Kaha said he was staying at Zion's home in the Christmas holidays when an advertisement came on the Nickelodeon channel asking people to apply for this season. The two boys went camping the next weekend and started filming their audition tape. "We called our team the 'Kiwi Cuzzies' so we put some Kiwi and New Zealand things in the audition, like the haka." The duo were away filming the series at Sea World on the Gold Coast in Australia from March 16 to 22. The 12-year-old, who had to keep the show a secret until now, said they were busy the whole time they were away. "We had about five cameras in our faces the whole time." Initially, Kaha said he was sceptical and surprised when they were selected for the show but his cousin was more confident. "From the moment he (Zion) had the idea, that's just the kind of person he is." Being part of the show was the best thing they had ever done. "We got to meet Timomatic and other famous people. I can't really give away too much about our challenges but they were all exciting." Kaha said he was unsure about his fame once the show aired. When the two boys came home, their families had a welcome home party at the airport. "It took a while to 'get back to reality' since we had been treated like stars over there," Kaha said. "I don't think it's sunk in about being on TV yet and I am a bit nervous but I won't know until the first episode is on in a few weeks." Camp Orange will be returning from June 10 and the winners will be voted for by New Zealand and Australian children watching from home. Follow NickALive! on Twitter, Tumblr, Google+, via RSS, on Instagram, and/or Facebook for the latest Nickelodeon Australia & New Zealand and Camp Orange: Force 10 News! The Kelowna Capital News is reporting the exciting Nick News in the following article that Nickelodeon, the number-one entertainment brand for kids and families, are due to start filming a brand-new TV movie called "Splitting Adam" at Cultus Lake Waterpark, located in British Columbia in Canada, next week! Nickelodeon production crews will be setting up and shooting in the Cultus Lake Waterpark, billed as BC's biggest and best Waterpark, for about five days as of Monday 2nd June 2014, confirmed Chris Steunenberg, co-owner of Cultus Lake Water Park. "We'll be open to the public while they're filming," he said. "[Nickelodeon will] be taking over a part of the waterpark as well as a section of the parking lot." The waterpark should figure prominently in the movie. Additionally, the Kelowna Capital News is reporting in the same article, below, that two casting assistants from BCF Casting in Vancouver were trying to get the details out to Chilliwack on social media recently for any prospective local residents who wanted to be extras in the movie. In recent weeks, they've been appealing to actors aged between 6-to-30 for paid extra work on the film asking for profiles to be uploaded to www.bcfcasting.com. Nick's all-new TV movie will be the first film shot at Cultus Lake Waterpark. They'll be shooting a TV movie at the Cultus Lake Waterpark next week, but the facility is still open to the public. The waterpark opens for the season on Saturday, May 31, and the filming starts Monday. It's going to mean long hours for people working as extras on a movie shoot at Cultus Lake starting next week. Nickelodeon has announced it will be making a made-for-television movie, Splitting Adam, at Cultus Lake Waterpark. Production crews will be setting up and shooting in the Cultus Lake Waterpark for about five days as of Monday, confirmed owner Chris Steunenberg. "We'll be open to the public while they're filming," he said. "They'll be taking over a part of the waterpark as well as a section of the parking lot." Two casting assistants from BCF Casting in Vancouver were trying to get the details out to Chilliwack on social media recently for any prospective local residents who wanted to be extras in the movie. In recent weeks, they've been appealing to actors, aged 6 to 30 for paid extra work on the film asking for profiles to be uploaded to www.bcfcasting.com. The waterpark opens for the summer season on Saturday. It's early enough in the season for the film shoot not to be expected to cause any headaches, the owner said. "Our parking lot will be sufficient." There have been attempts to organize film shoots at the waterpark before, but none that were successful, Steunenberg said. "We're totally into this. We think this will be good for Chilliwack and the surrounding area. It will help promote us as a tourist area." Follow NickALive! on Twitter, Tumblr, Google+, via RSS, on Instagram, and/or Facebook for the latest Nickelodeon and Splitting Adam News! The Hollywood Reporter reports that Lia's co-Nick star Audrey Whitby, who plays Cherry in the hit Nickelodeon original comedy series "The Thundermans", will star in Nick's upcoming "Terry the Tomboy" film as Britannica Walsh. "Terry the Tomboy" follows a 15-year-old tomboy (Johnson) who has a video blog that covers dirt, power tools, bacon and other assorted processed salty meat products. Wade Randolph is writing and directing the film, which was filmed in Los Angeles. The film is produced by Shauna Phelan and executive produced by Brian Robbins and Joe Davola. Nickelodeon Renames Upcoming New Show "Bella and the Bullfrogs" To "Bella and the Bulldogs"
is it true that "Bella and the Bullfrogs" is now "Bella and the Bulldogs" ? "Bella and the Bulldogs", picked up for 12 episodes, follows a perky head cheerleader named Bella (Brec Bassinger, "The Haunted Hathaways") whose life in Texas takes an unexpected twist when she becomes the new quarterback for her school team, the Bullfrogs. Bella is joined by "The Troy" (Coy Stewart, "Are We There Yet? "), the Bullfrogs' dethroned quarterback along with his pint-sized sidekick, Newt (Buddy Handleson, "Wendell & Vinnie"). Rounding out the cast are Lilimar Hernandez as Sophie, Bella's cheerleader best friend: Jackie Radinsky as true southern cowboy, Sawyer; Haley Tju as Pepper; Paul Lacovara as a Referee; Rio Mangini ("See Dad Run") as Ace McFumbles; Evan Roe ("Sam & Cat") as Blake; and Sully Zack as Player #2. The series is written by Gabriel Garza and Jonathan Butler ("The Haunted Hathaways", "Fanboy & Chum Chum"), who were discovered through Nickelodeon's Writing Program. Jeff Bushell will serve as Executive Producer. "Bella and the Bulldogs" is slated to premiere on Nick USA later this year. Follow NickALive! on Twitter, Tumblr, Google+, via RSS, on Instagram, and/or Facebook for all the latest Nickelodeon and Bella and the Bulldogs News! UK Pro Flatland BMXer Matti Hemmings has announced the very exciting Nick UK news in a series of Tweets (posts) on his official Twitter profile page, @MattiHemmings, that Nickelodeon UK have teamed up with Robinsons Fruit Shoot, a British soft drink brand owned by Britvic, for a third year for their "Get Your Skills On" pro-social campaign! Building on their successful partnership, Nick and Fruit Shoot's "Get Your Skills On" initiative is back and bigger than ever! 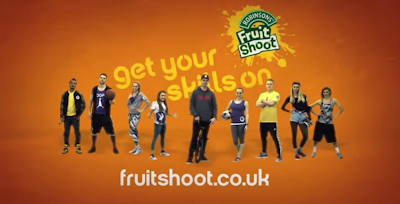 As part of the 2014 "Get Your Skills On" campaign, Nickelodeon and the all-new Fruit Shoot Skills Crew are heading to a city near you, on their countrywide tour, where they'll give you your chance to get your skills on! The Fruit Shoot Skills Tour road show tour dates will be announced in the next few weeks. Additionally, the official Robinsons Fruit Shoot website, fruitshoot.co.uk, has announced that Nickelodeon UK & Ireland and Nickelodeon HD UK, the number one commercial kids TV network in the UK, will start to show a brand-new "Get Your Skills On" TV show very soon! The Redditch Standard is reporting that, as part of Nick and Fruit Shoot's brand-new television show, Nick UK recently attended the British Speed Championships in Henley-in-Arden to film Rachael Dale, one of Jump Rope UK's senior coaches, as part of the Fruit Shoot Skills Crew, where the Nickelodeon UK production team filmed Rachael following and interviewing two of the skipping club's younger members, Caitlin Speirs and Callam Rainey! It is currently unknown whether Nickelodeon UK and Britvic will also be holding a third "Nickelodeon's Fruit Shoot Skills Awards" ceremony, "Nickelodeon's Fruit Shoot Skills Awards 2014", later this year. Get ready for Nickelodeon's Fruit Shoot Skills Tour 2014 by meeting the all-new Fruit Shoot Skills Crew in the online streaming video below! #GetYourSkillsOn! Follow NickALive! on Twitter, Tumblr, Google+, via RSS, on Instagram, and/or Facebook for all the latest Nickelodeon UK and Get Your Skills On News! Nickelodeon, the number-one entertainment brand for kids and families, has announced in the following press release, from TVByTheNumbers.com, the exciting Nickelodeon News that Nick USA closed May 2014 as the top basic cable network in total day with Kids 2-11 (2.5/795K) and total viewers (1.5M), marking the net's fifth consecutive month at the top! For the month, "SpongeBob SquarePants" was the number-one show across all of TV with Kids 2-11 (4.1/1.3M), closely followed by "Teenage Mutant Ninja Turtles", which averaged a 3.9/1.3M (+5% versus a year ago) with the demo. "SpongeBob SquarePants" was also the top kids show on basic cable with total viewers (2.5M); "Teenage Mutant Ninja Turtles" was second averaging 2.5M total viewers; and "Sanjay and Craig" came in third with 2.1M total viewers. Nickelodeon's portfolio of successful preschool shows secured the top five spots with Kids 2-5 this month. "PAW Patrol" led the hit programming slate averaging a 5.9/727K (+26%); "Team Umizoomi" was second with a 5.3/657K average; "Bubble Guppies" came in third posting a 5.1/633K; "Wallykazam!" earned a 4.9/607K and "Dora the Explorer" landed the fifth spot averaging a 4.7/587K with preschoolers. Nick at Nite also closed the month as basic cable's number-one network with Women 18-49 in total day, averaging a 0.6/292K W18-49. Additionally, Nickelodeon's niche nets continued building momentum, with TeenNick posting its best May performance ever Teens 12-17 (0.5/79K, +117%) and total viewers (236K, +75%). Nicktoons also posted gains for the month with Kids 6-11 (0.4/60K, up +10% from last year) and Nick Jr. scored increases with its core Kid 2-5 audience (1.8/183K, +8%). 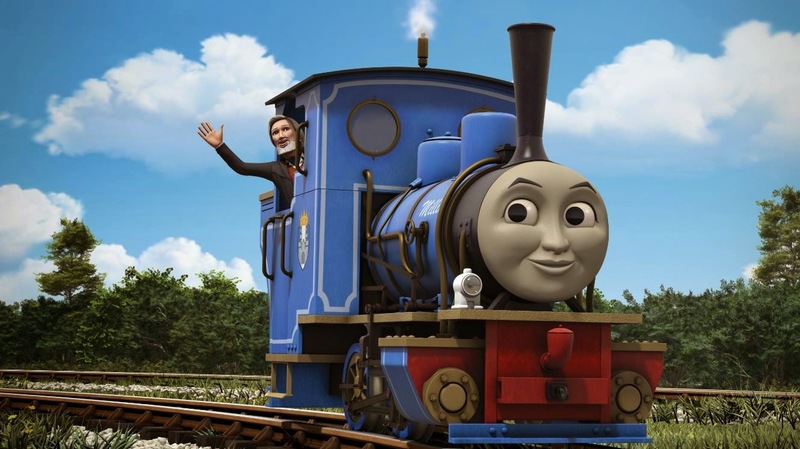 In the final week of May (Monday 19th to Sunday 25th May 2014), Nick scored the top two series with Kids 2-11 and total viewers. "SpongeBob SquarePants" was number-one in both categories, averaging a 4.0/1.3M with Kids 2-11 and scoring 2.5M total viewers, while "The Fairly OddParents" was second with an 3.7/1.2M average among Kids 2-11 and 2.4M total viewers. In preschool, the network landed the top four positions with Kids 2-5 with "PAW Patrol" (7.0/869K, +49%) placing first among Kids 2-5. It was followed by "Bubble Guppies" (5.8/721K), "Wallykazam!" (5.1/633K) and "Team Umizoomi" (5.1/628K), respectively. NEW YORK – May 28, 2014 – Nickelodeon closed May as the top basic cable network in total day with Kids 2-11 (2.5/795K) and total viewers (1.5M), marking the net’s fifth consecutive month at the top. For the month, SpongeBob SquarePants was the number-one show across all of TV with Kids 2-11 (4.1/1.3M), closely followed by Teenage Mutant Ninja Turtles, which averaged a 3.9/1.3M (+5% versus a year ago) with the demo. SpongeBob SquarePants was also the top kids show on basic cable with total viewers (2.5M); Teenage Mutant Ninja Turtles was second averaging 2.5M total viewers; and Sanjay and Craig came in third with 2.1M total viewers. Nickelodeon’s portfolio of successful preschool shows secured the top five spots with Kids 2-5 this month. PAW Patrol led the hit programming slate averaging a 5.9/727K (+26%); Team Umizoomi was second with a 5.3/657K average; Bubble Guppies came in third posting a 5.1/633K; Wallykazam! earned a 4.9/607K and Dora the Explorer landed the fifth spot averaging a 4.7/587K with preschoolers. Nick at Nite also closed the month as basic cable’s number-one net with Women 18-49 in total day, averaging a 0.6/292K W18-49. Additionally, Nickelodeon’s niche nets continued building momentum, with TeenNick posting its best May performance ever Teens 12-17 (0.5/79K, +117%) and total viewers (236K, +75%). Nicktoons also posted gains for the month with Kids 6-11 (0.4/60K, up +10% from last year) and Nick Jr. scored increases with its core Kid 2-5 audience (1.8/183K, +8%). In the final week of May (5/19/14-5/25/14), Nick scored the top two series with Kids 2-11 and total viewers. 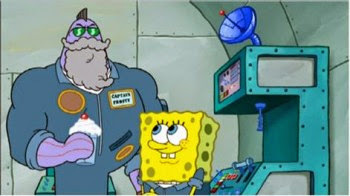 SpongeBob SquarePants was number-one in both categories, averaging a 4.0/1.3M with Kids 2-11 and scoring 2.5M total viewers, while The Fairly OddParents was second with an 3.7/1.2M average among Kids 2-11 and 2.4M total viewers. In preschool, the network landed the top four positions with Kids 2-5 with PAW Patrol (7.0/869K, +49%) placing first among Kids 2-5. It was followed by Bubble Guppies (5.8/721K), Wallykazam! (5.1/633K) and Team Umizoomi (5.1/628K), respectively. Nickelodeon, now in its 35th year, is the number-one entertainment brand for kids. It has built a diverse, global business by putting kids first in everything it does. The company includes television programming and production in the United States and around the world, plus consumer products, online, recreation, books and feature films. Nickelodeon's U.S. television network is seen in almost 100 million households and has been the number-one-rated basic cable network for 19 consecutive years. For more information or artwork, visit http://www.nickpress.com. Nickelodeon and all related titles, characters and logos are trademarks of Viacom Inc. (NYSE: VIA, VIA.B). Follow NickALive! on Twitter, Tumblr, Google+, via RSS, on Instagram, and/or Facebook for all the latest Nickelodeon Ratings News! Nick At Nite USA Acquires Rights To "The Fresh Prince Of Bel-Air", "Everybody Loves Raymond" And "How I Met Your Mother"
The entertainment industry news website Deadline Hollywood is reporting the exciting Nickelodeon news in the following article that Nickelodeon has picked up the broadcast rights to all 208 episodes of the hit sitcom "How I Met Your Mother", all 148-episodes of the popular comedy series "The Fresh Prince Of Bel-Air", and all 212 episodes of "Everybody Loves Raymond" for Nick USA's nighttime programming block, Nick at Nite! Nick@Nite will debut HIMYM during early Fall (Autumn), followed by the premieres of "The Fresh Prince" in October 2014 and "Everybody Loves Raymond" in early 2015. The deals are not exclusive. ""How I Met Your Mother", "The Fresh Prince Of Bel-Air" and "Everybody Loves Raymond" are perfect additions to Nick at Nite's lineup of proven hit series with great characters like "Full House" and originals like "Instant Mom"," said Russell Hicks, President, Content Development and Production, Nickelodeon Group, reports Deadline. All 208 episodes of How I Met Your Mother, The Fresh Prince Of Bel-Air‘s entire 148-episode run and all 212 episodes of Everybody Loves Raymond have been added to Nick at Nite’s primetime lineup. How I Met Your Mother will bow in early fall, followed by The Fresh Prince in October and Everybody Loves Raymond in early 2015. The deals are not exclusive. “How I Met Your Mother, The Fresh Prince Of Bel-Air and Everybody Loves Raymond are perfect additions to Nick at Nite’s lineup of proven hit series with great characters like Full House and originals like Instant Mom,” said Russell Hicks, President, Content Development and Production, Nickelodeon Group. How I Met Your Mother recently wrapped its nine-season run with over 13 million total viewers tuning in to the finale. The 15-time Emmy winning comedy Everybody Loves Raymond ran in primetime on CBS for nine seasons, consistently ranking among the top 10 programs on television beginning with the 2000-2001 season. The Ray Romano starrer has also consistently ranked in the top five of all syndicated programming. The Fresh Prince Of Bel-Air ran from 1990 to 1996. It stars Will Smith as a version of himself who is sent to live with his aunt's family in Bel-Air to escape the dangers of inner-city Philadelphia. 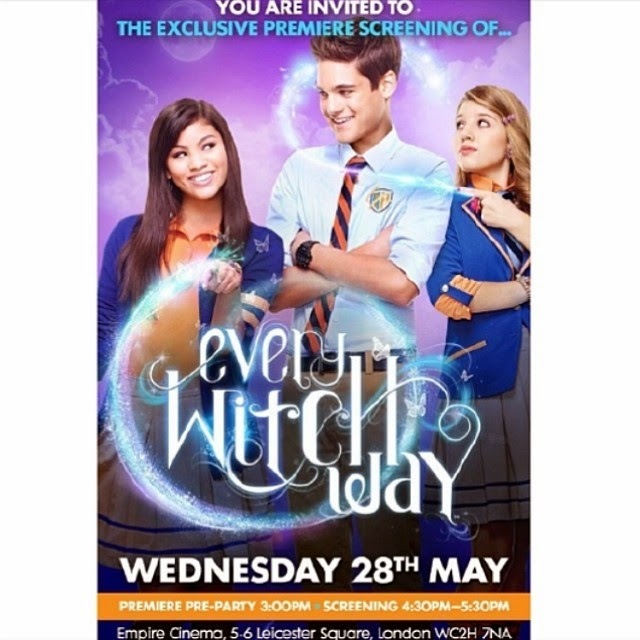 The Nickelodeon UK Press Office has announced in a series of Retweets (posts) on their official Twitter profile page, @NickelodeonUKPR, the very exciting Nickelodeon UK News that Nickelodeon UK's Press team today, Wednesday 28th May 2014, held a exclusive press screening of Nickelodeon's brand-new fantasy television series "Every Witch Way" at the Empire cinema in London's Leicester Square, where VIP guests were invited to watch a very special preview of Nick's new show, which may indicate that Nickelodeon UK & Ireland and Nickelodeon HD UK, the number one commercial kids TV network in the UK, will start to premiere and show "Every Witch Way" very soon! 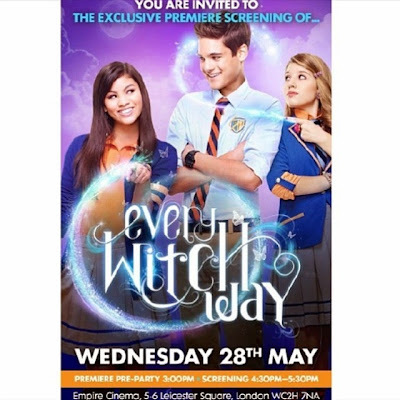 As part of Nick UK's "Every Witch Way" exclusive screening event in London's West End, attendees were invited to a special pre-party at the Empire Leicester Square. Photo via Nickelodeon Star Louis Tomeo, who plays Robby Miller on "Every Witch Way", on his official Instagram profile page, louis_tomeo. Follow NickALive! on Twitter, Tumblr, Google+, via RSS, on Instagram, and/or Facebook for the latest Nickelodeon UK and Every Witch Way News! Viacom International Media Networks (VIMN) Australia and New Zealand has announced the Nickelodeon International News in the following press release, from VIMN AUNZ's official Pressroom, that Jihee Nam has been named Vice President (VP) and General Manager (GM) for Nickelodeon Networks Australia and New Zealand. The Nick News was announced on Monday 26th May 2014 by Ben Richardson, Senior Vice President (SVP) and General Manager, Viacom International Media Networks (VIMN) Australia and New Zealand. Ms. Nam replaces Mr, Richardson, who was promoted to his current position in February 2014. She will report to Mr. Richardson and will be based at Nickelodeon's North Ryde headquarters when she commences on Monday 16th June 2014. Ms Nam joins Nickelodeon Networks after serving as the Vice President / Head of Digital Media for Viacom International Media Networks (VIMN) Asia since 2009. As Vice President and General Manager, Nam will be responsible for the day-to-day management of Nickelodeon's brands in Australia and New Zealand, overseeing a diverse business consisting of 24-hour subscription television networks available in over 3.1 million households, digital platforms, live events, recreation destinations, consumer products, local production and programme sales. Ms. Nam returns to Australia after a lengthy career in Asia having held positions with Viacom International Media Networks, CNET Networks, online gaming company CCR and Korean news platform, Hankook Ilbo. She initially joined VIMN in 2005 as the head of digital media in Korea, leading MTV and Nickelodeon websites to be some of the most trafficked within the organisation. In 2009, she was promoted to Vice President / Head of Digital Media where she oversaw all of VIMN's digital businesses in Japan, China, Korea and Southeast Asia. Under her leadership, the company launched historic content partnerships with CCTV in China, SBS in Korea and Gyao! in Japan. She was also responsible for the development of bespoke digital products in partnership with VIMN's commercial partners throughout the region including StarHub, AirAsia, Sunway Resorts, Lenovo, WeChat, Baidu and many others. 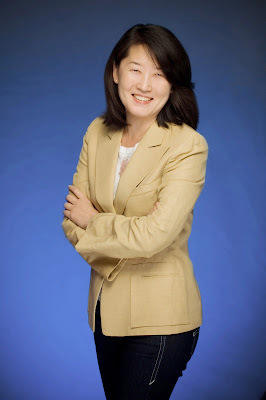 Ms Nam was also a contributing writer to McGraw-Hill's "Emerging Powerhouses: The Asian Internet Handbook, Episode IV" and a starting member of the Korea Digital Content Future Forum established by the Ministry of Information and Communication. Multilingual in Korean, Spanish and English and a native of Sydney, Ms. Nam is a graduate of Wesley College and holds a masters diploma in Psychology. Jihee Nam has been named Vice President and General Manager for Nickelodeon Networks Australia and New Zealand. Ms Nam joins Nickelodeon Networks after serving as the Vice President / Head of Digital Media for Viacom International Media Networks Asia since 2009. Jihee Nam has been named Vice President and General Manager for Nickelodeon Networks Australia and New Zealand, it was announced today by Ben Richardson, Sr. Vice President and General Manager, Viacom International Media Networks (VIMN) Australia and New Zealand. Ms. Nam replaces Mr, Richardson, who was promoted to his current position in February 2014. She will report to Mr. Richardson and will be based at Nickelodeon’s North Ryde headquarters when she commences on 16 June. Ms Nam joins Nickelodeon Networks after serving as the Vice President / Head of Digital Media for Viacom International Media Networks Asia since 2009. As Vice President and General Manager, Nam will be responsible for the day-to-day management of Nickelodeon’s brands in Australia and New Zealand, overseeing a diverse business consisting of 24-hour subscription television networks available in over 3.1 million households, digital platforms, live events, recreation destinations, consumer products, local production and programme sales. "Jihee has been at the forefront of VIMN's digital expansion across Asia, and I'm delighted to welcome her back to Australia to lead Nickelodeon's business," said Mr. Richardson. "She is a true trailblazer who knows the value of the Nickelodeon's brand, and I'm sure she'll take the business to new and exciting heights." Ms. Nam returns to Australia after a lengthy career in Asia having held positions with Viacom International Media Networks, CNET Networks, online gaming company CCR and Korean news platform, Hankook Ilbo.She initially joined VIMN in 2005 as the head of digital media in Korea, leading MTV and Nickelodeon websites to be some of the most trafficked within the organisation. In 2009, she was promoted to Vice President / Head of Digital Media where she oversaw all of VIMN’s digital businesses in Japan, China, Korea and Southeast Asia.Under her leadership, the company launched historic content partnerships with CCTV in China, SBS in Korea and Gyao! in Japan.She was also responsible for the development of bespoke digital products in partnership with VIMN’s commercial partners throughout the region including StarHub, AirAsia, Sunway Resorts, Lenovo, WeChat, Baidu and many others. Said Ms. Nam, "This is a tremendous opportunity to both leverage my experience abroad and return to Australia, and I'm very excited to work with the award-winning and well-regarded team at Nickelodeon." Ms Nam was also a contributing writer to McGraw-Hill’s “Emerging Powerhouses: The Asian Internet Handbook, Episode IV” and a starting member of the Korea Digital Content Future Forum established by the Ministry of Information and Communication.Multilingual in Korean, Spanish and English and a native of Sydney, Ms. Nam is a graduate of Wesley College and holds a masters diploma in Psychology. Established in 1995, Nickelodeon Australia and New Zealand has built a diverse business by putting kids first in everything it does. Thanks to the success of local productions including the multi-award winning "Slimefest" and "Camp Orange" and global hits such as "Teenage Mutant Ninja Turtles" and "SpongeBob SquarePants," Nickelodeon has twice been named the ASTRA Channel of the Year. In 2004, Nick Jr. was launched as the first 24-hour network specifically designed for pre-school audiences in Australia. Now in its 10th year, Nick Jr. Australia has become on of the most trusted and watched platforms for preschoolers with original productions including "Play Along with Sam" and "Didi and B" as well as global series such as "Dora the Explorer" and "Bubble Guppies." Follow NickALive! on Twitter, Tumblr, Google+, via RSS, on Instagram, and/or Facebook for the latest Nickelodeon Australia and New Zealand News and Highlights! The entertainment industry news website Deadline Hollywood is reporting the Nickelodeon news in the following article that Brian Wright, Nickelodeon's Senior Vice President (SVP) of live-action development, has decided left the network effective today, Tuesday 27th May 2014. 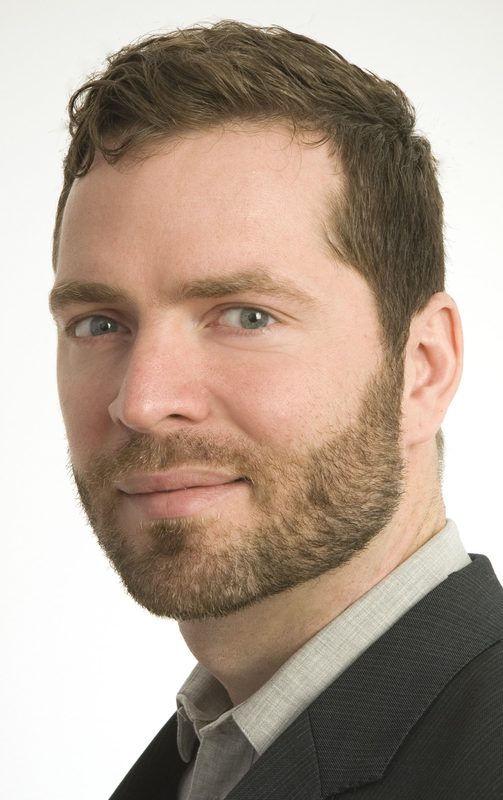 Brian Wright joined Nick as Vice President (VP) of live-action development in 2007, and was promoted to SVP, overseeing all live-action development and pilot production, in 2012. He reported to Nickelodeon Group president of original programming Marjorie Cohn who exited Nick in 2013. EXCLUSIVE: Nickelodeon's SVP of live-action development Brian Wright has left the network effective today. "Brian Wright has decided to leave Nickelodeon after 7 years," a rep for the network confirmed to Deadline. Wright, who joined Nick as VP live-action development in 2007, was promoted to SVP, overseeing all live-action development and pilot production, in 2012. He reported to Nickelodeon Group president of original programming Marjorie Cohn who exited last year. Wright’s departure comes four months after Nickelodeon upped head of casting Sarah Noonan to SVP Live Action Content, overseeing live-action development and production. Wright, who worked under her, most recently worked on the development of Instant Mom, The Thundermans and Haunted Hathaways, which are currently on the air, and recent greenlights Nicky Ricky Dicky Dawn and Bella And The Bullfrogs. He previously shepherded such projects that have gone to series as Big Time Rush, Victorious, Supah Ninjas, How To Rock and, most recently Nick’s Marvin Marvin and Nick At Nite’s first original scripted series, comedy Daddy's Home starring Scott Baio. Follow NickALive! on Twitter, Tumblr, Google+, via RSS, on Instagram, and/or Facebook for the latest Nickelodeon and News and Highlights! Nickelodeon UK and Ireland's preschool channel, Nick Jr. UK and Ireland, has announced the exciting news in a post on their official Facebook profile page, Facebook.com/NickJrUK, and in the "What's On" schedule section on their official website, nickjr.co.uk, that Nick Jr. UK and Ireland will premiere and show the brand-new CG-animated "Thomas & Friends" movie called "King of the Railway" on Saturday 31st May 2014 at 10:00am (repeated at 11:00am on Nick Jr.+1)! 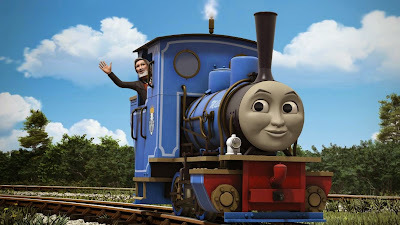 Following the premiere, Nick Junior will encore special all-new "Thomas the Tank Engine" film "King of the Railway" on Sunday 1st June 2014. Follow NickALive! on Twitter, Tumblr, Google+, via RSS, on Instagram, and/or Facebook for the latest Nick Jr. UK, Thomas & Friends and Peppa Pig News! Nickelodeon Greece Premieres "PAW Patrol"
Nickelodeon Greece has announced the PAW-tastic news on their official website that Nickelodeon Greece, the Greek version of the world's number one kids' channel, today, Monday 26th May 2014, started to premiere and show Nickelodeon Preschools brand-new CG-animated preschool series "PAW Patrol" every Monday to Friday at 8:45am! To celebrate the Greek debut of "PAW Patrol", Nick Greece's official website has launched the channels official "PAW Patrol" show webpage, which you can visit here at nickelodeon.gr! "Paw Patrol", a Nickelodeon co-production with Spin Master Entertainment, stars a pack of six heroic rescue pups – Chase, Marshall, Rocky, Rubble, Zuma and Skye - who are led by a tech-savvy boy named Ryder. Together they work hard to protect the Adventure Bay Community believing, "no job is too big, no pup is too small!" The series features a curriculum that focuses on citizenship, social skills and problem-solving. Follow NickALive! on Twitter, Tumblr, Google+, via RSS, on Instagram, and/or Facebook for the latest Nickelodeon Greece and Paw Patrol News! 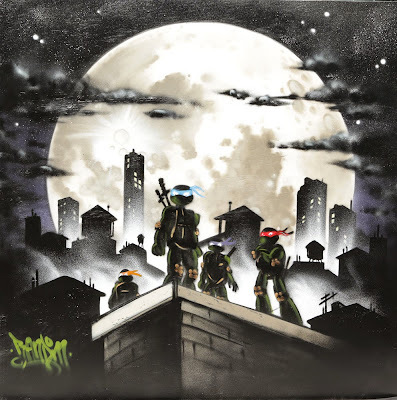 Inside Toronto is reporting the Booyakasha TMNT news in the following article that Nickelodeon Canada and Walmart have announced the winner of their "Teenage Mutant Ninja Turtles" Street Art Challenge called "Channel Your Inner Ninja Turtle"! As part of the contest, Nick Canada and Walmart asked fans of TMNT to show-off their street art skills by designing a work of art inspired by Nickelodeon's hit CG-animated series "Teenage Mutant Ninja Turtles". To enter, fans of TMNT were invited to upload a digital photograph of themselves (or their child) channeling your their "inner Ninja Turtle" by showcasing one or more of the common themes explored within the "Teenage Mutant Ninja Turtles" television series (including but not limited to, heroism, action, teamwork, comedy and camaraderie) to Instagram along with the competition's official hashtag, #innerninjaturtle. 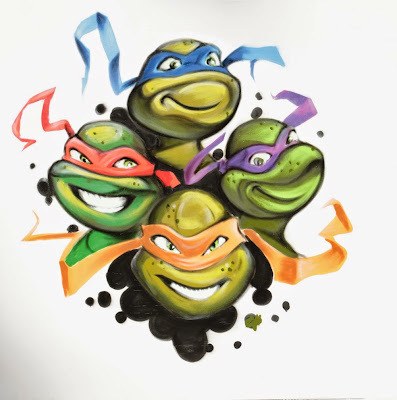 After going through every photograph submitted to the contest, Nickelodeon Canada and Walmart chose four finalists, and asked "Teenage Mutant Ninja Turtles" fans to vote for their favourite "Teenage Mutant Ninja Turtles"-inspired artwork on the competitions official website, InnerNinjaTurtle.com. The finalists in the contest were: "Stick it up your shell!" by Angel Carrillo (Cruz1), "Freeze Slimeballs!" by Spencer Harrington (Random), "Hot Nunchuk Fury!" by José-Gabriel Sandoval (Wahziir), and "Come on, gimmie your best!" by Adrian Hayles. After the nationwide vote, Nickelodeon and Walmart counted up each vote on Monday 12th May 2014, and have announced that the winning "Channel Your Inner Ninja Turtle" "Teenage Mutant Ninja Turtles" street art design is "Stick it up your shell!" by Angel Carrillo (Cruz1)! As part of Angel Carrillo's prize, his winning design will be featured on a brand-new TMNT t-shirt which will be available exclusively at Walmart Canada stores from Fall 2014! Parkdale resident Angel Carillo's colour design won the Canada-wide Nickelodeon Teenage Mutant Ninja Turtle street art challenge. 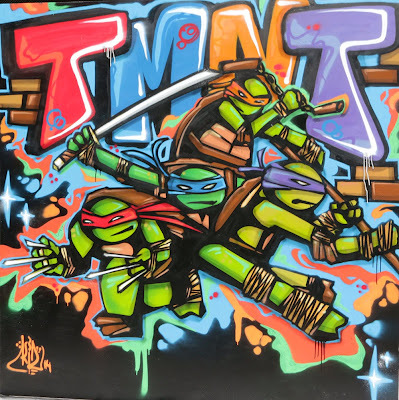 Parkdale street artist Angel Carrillo won the Inner Ninja Turtle street art challenge organized by Nickelodeon and Walmart after nationwide votes were counted on May 12. Carrillo's design will be featured on a T-shirt available in Walmart this fall. 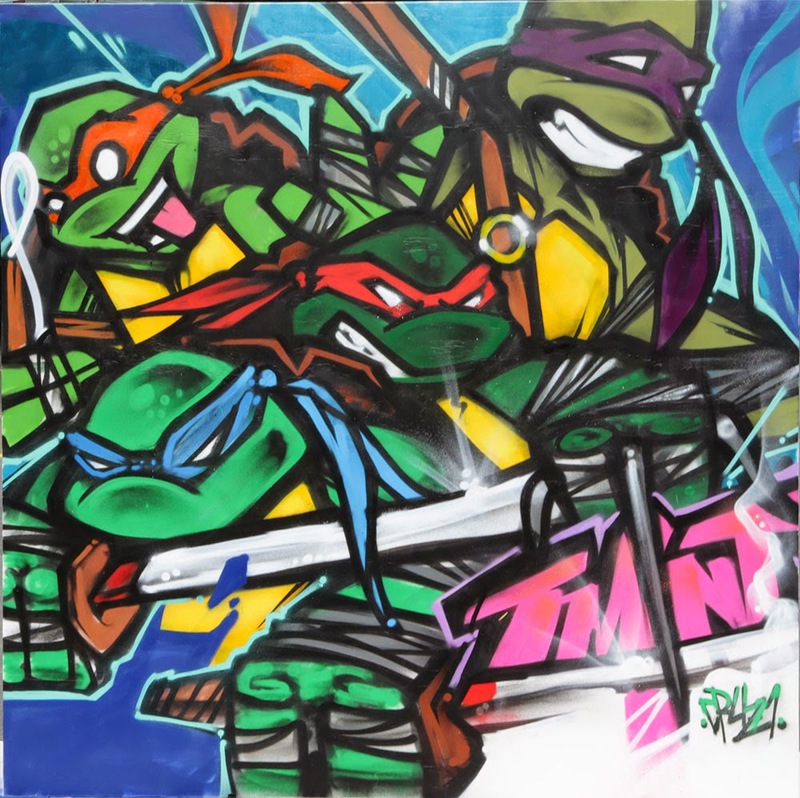 The street art challenge had four Toronto artists design their own version of the Teenage Mutant Ninja Turtles using graffiti art. After a month of voting on designs, Canadians chose Carrillo's design for the winner. "I told Nickelodeon I want to retouch the design," Carrillo said. "I'm gonna resubmit a more detailed design. When it's printed on the T-shirt, I want people to understand the difference between graffiti art and contemporary art." "It's not like a graphic designer trying to do graffiti, it's a graffiti artist doing art," he added. Carrillo is a well-known Toronto street artist. His work ranges from tattoos to wall murals, demonstrating his wide range of artistic ability. Carrillo is active in the Parkdale community and works as an art coordinator and educator. He aims to bring graffiti art to the mainstream and demonstrate it is a vital art form. He's part of an art guild called Wallnoize, which aims for this goal. "We showcase graffiti arts and provide them materials and a space for them to paint," Carrillo said. "We have real street artists with so much talent in the city, it's nice to know that guys like Nickelodeon and Walmart are taking notice. I say to these guys, why go to New York when you have talent here in Toronto?" Carrillo credits his friends and colleagues in Parkdale for the win, as he says they supported him with votes and encouragement. "I want to say a big thank you to my Parkdale community," he said. "I do it basically for Parkdale, I represent Parkdale, I've never strayed away from that and I never will." Carrillo's retouched design of the Ninja Turtles will be available on a T-shirt in Walmart this fall. TMNT Live at Yonge-Dundas Square | #InnerNinjaTurtle from TMNT Inner Ninja Turtle on Vimeo. Follow NickALive! on Twitter, Tumblr, Google+, via RSS, on Instagram, and/or Facebook for the latest Nickelodeon Canada and Teenage Mutant Ninja Turtles News! ToyNews, a monthly trade magazine for the toy business, is reporting the Booyakasha TMNT news in the following article that the UK toy company Flair recently showcased Playmates Toys' upcoming "Teenage Mutant Ninja Turtles" toy line at the toy company's booth at this year's Toymaster trade show, the 2014 Toymaster May Show, which ran from Tuesday 20th to Thursday 22nd May 2014 at The Majestic Hotel in Harrogate! Additionally, ToyNews is also reporting in the same article, below, that Flair will release Playmates Toys' brand-new "Teenage Mutant Ninja Turtles" Z-Line Ninja Playsets, which feature zip-line adventures for Turtle action figures, and TMNT action figures, including Wave Eight, in the UK during May 2014, and brand-new Throw N' Battle Deluxe Figures Assortments during Autumn (Fall) 2014! You can find full information about Flair and Playmates Toys' extensive 2014 "Teenage Mutant Ninja Turtles" toy line here on NickALive!. Among the line-up are new collections from Doc McStuffins, Sofia the First, Teenage Mutant Ninja Turtles and WWE. Flair is showcasing a plethora of new products from some of its most popular kid's entertainment properties this Toymaster season. New additions to the Doc McStuffins range include the Get Better Talking Doc Mobile Clinic, featuring lights and sounds, a seat for Doc's friends while the back of the clinic can be opened up to store patient’s files. Flair also presents the new Sofia the First Jewel Playsets range, a collection of micro figures and playsets. And leading the line is Sofia's Magical Amulet, a set that opens to reveal a micro world featuring areas of Enchancia's Castle. Meanwhile, from the makers of The Trash Pack comes a new girls’ collectable Shopkins. New top the UK, the collection will launch this July and will feature mini characters will be available in impulse and collectable packs and will be supported by a multi-platform campaign. Joining the new releases is the electronic pet brand, The Happy's, a collection of plush including three puppies and a kitten. Each character makes 25 different sounds and uses infra-red techno;logy to perform special tricks. New additions to the Teenage Mutant Ninja Turtles range include the Z-line playsets and new action figure releases including Wave Eight in May and new Throw and Battle Assortments in Autumn. Completing the offering are new lines from WWE StackDown construction sets, a Rotten Egg Series of Trash Pack and a new collectable from the makers of RoboFish, Timargo. Viacom Inc. (NASDAQ: VIAB, VIA), the parent company of the Nickelodeon brand, has unveiled in the following press release, from Business Wire, the results of "TV Here, There, (Not Quite) Everywhere", a brand-new study exploring consumers' experiences around TV Everywhere (TVE) apps and sites. The findings reveal an increase in overall TV viewing among TV Everywhere users, as well as greater customer loyalty towards pay TV providers that offer TV Everywhere services. NEW YORK--(BUSINESS WIRE)--Viacom (NASDAQ: VIAB, VIA) today unveiled the results of "TV Here, There, (Not Quite) Everywhere," a new study exploring consumers' experiences around TV Everywhere (TVE) apps and sites. The findings reveal an increase in overall TV viewing among TV Everywhere users, as well as greater customer loyalty towards pay TV providers that offer TV Everywhere services. For the purposes of this study, the TV Everywhere experience is defined as watching full-length TV programs on sites and apps by "authenticating," or using pay TV log-in information. The methodology involved digital online journals, focus groups and ethnographies in New York and Chicago. Online surveys were conducted with more than 1,300 Viacom viewers ages 13-49 and more than 600 kids ages 2-12. Participants included both users of TV Everywhere and non-users. "While still nascent in terms of awareness and usage, TV Everywhere presents a huge opportunity for brands to grow and strengthen their relationships with fans," said Colleen Fahey Rush, Executive Vice President and Chief Research Officer, Viacom Media Networks. "This research provides valuable insights into developing the best TVE experiences for our audiences who want to engage with their favorite content beyond the television screen." The majority of users agree: TV Everywhere is additive to the TV viewing experience. Since they began using TV Everywhere apps and sites, 64% report watching more TV overall. This finding is even stronger among Millennials, with 72% watching more TV. For those using TV Everywhere, the television is still the go-to source for TV shows and watching live. After live TV, TVE apps and sites are a strong alternative, rivaling VOD, DVR and other sites that don't require authentication with a pay TV provider, such as subscription streaming services or other free sites. "Apps encourage watching live TV," said Antonia, a 15-year-old TVE user. "I started watching this show on my computer and liked it, so now I watch it if it's on TV." TV Everywhere also increases the value of pay TV subscriptions while strengthening loyalty to pay TV providers and relationships with networks. * A full 98% of users say TVE adds value to their pay TV subscription, with 67% saying it adds "a lot" of value. * The vast majority (93%) is more likely to stay with their provider due to TV Everywhere and 68% have a more favorable impression of networks that offer TVE experiences. Users cite strong content libraries, flexibility and the attitudinal element of staying savvy as their main drivers for using TV Everywhere services. Whether to re-watch or catch up on episodes, content is one of the biggest drivers of TV Everywhere usage. * Viewers use TVE for replay, with 31% reporting that they re-watch episodes and 22% starting a show from the first season. * Over two-thirds report using TVE more often than other third-party or free sites because it has more shows overall (42%), offers the shows/series they want to watch (38%), and features exclusives (23%). Another major driver of TVE use, the flexibility of TVE allows viewers to watch shows when, where and how they want. * Nearly one-third of users use TVE because they weren't able to watch the show live. * Twenty-eight percent use TVE because they are away from home. * Twenty-two percent use TVE because all TVs were in use, and the same percentage cite being able to move around the house. * TVE users also consider themselves early adopters, with one-fifth reporting that they started using these services because they like to be the first to try new things. * They are also much more likely to own and access TV shows on a range of different devices, including tablets, set-top-boxes and Smart TVs. "It's never been a better time to be a fan," continued Rush. "And TV Everywhere apps and sites allow viewers to become even bigger fans, giving them the content they want and the flexibility to watch whenever and however they want." The research reveals that TV Everywhere – as both a concept and a term – still suffers from a lack of awareness and understanding. There's also no go-to source of discovery yet: 17% of users heard about TVE from an ad on TV; 16% were made aware by a spouse or partner; and 54% of kids learned about it from their parents. While 19% of users say they have no problems with their TVE experiences, the top issues tend to be tech-related, including loading/buffering (24%) and crashing/freezing (23%). Content-related issues are far less common. For non-users, the biggest barriers to adoption are a lack of perceived need, concerns about hidden costs, lack of awareness and screen size. The majority of users say flexibility, extensive content, smart search, and custom logins create the best TVE experiences. * Flexibility of a "Digital DVR": Viewers want to be able to pause a show and pick it up at another time, even on another device. They want the abilities to start/stop (66%), watch on any device (64%), and use outside of their home Wi-Fi (60%). * Deep Content Libraries: Viewers want instant gratification and complete and deep content libraries, including immediate access to recent episodes (65%), old seasons of shows (62%), content that never expires (62%) and live TV (56%). * Smart Search: Intuitive search functionalities are crucial. Consumers want clear search boxes to search for specific shows (68%), organized content (59%) and the ability to make queues or lists of favorites for later viewing (55%). * Custom Logins: Particularly in multi-person households or for those with kids in the home, the ability to customize (52%) and have accounts for multiple users (48%) is important. Viacom is home to premier global media brands that create compelling television programs, motion pictures, short-form video, apps, games, consumer products, social media and other entertainment content for audiences in more than 160 countries and territories. Viacom's media networks, including MTV, VH1, CMT, Logo, BET, CENTRIC, Nickelodeon, Nick Jr., TeenNick, Nicktoons, Nick at Nite, Comedy Central, TV Land, SPIKE, Tr3s, Paramount Channel and VIVA, reach approximately 700 million households worldwide. Paramount Pictures, America's oldest film studio, is a major global producer and distributor of filmed entertainment. Follow NickALive! on Twitter, Tumblr, Google+, via RSS, on Instagram, and/or Facebook for the latest Nickelodeon and Viacom Research News! Viacom Inc. (NASDAQ: VIAB, VIA), the parent company of the Nickelodeon brand, has announced the news in a press release on Business Wire that its Board of Directors has approved an increase in its quarterly dividend to $0.33 per share of Class A and B common stock from $0.30 per share. The increase will take effect beginning with Viacom's next quarterly dividend, payable on Tuesday 1st July 2014 to stockholders of record at the close of business on Friday 13th June 2014. Viacom President and CEO Philippe Dauman said, "As we increase investment in content and build our business worldwide, we remain committed to also returning significant capital directly to our shareholders. Viacom's financial strength and ongoing operational discipline allow us to deliver on this commitment, through our ongoing share buyback and dividend program." Follow NickALive! on Twitter, Tumblr, Google+, via RSS, on Instagram, and/or Facebook for the latest Nickelodeon and Viacom News! It's Slime Time on Nickelodeon this June! Nickelodeon UK, the number one commercial kids TV network in the UK, has announced the very exciting Nick UK news in their all-new promo that Nickelodeon UK and Ireland and Nickelodeon HD UK will be holding a brand-new special sports-themed programming stunt called the Nickelodeon Slime Cup, where, over three extremely gooey weekends, some of Nickelodeon's biggest stars will compete head-to-head in three very slimey challenges in the messiest event of the year which will lead up to one massive showdown where one team will win the coveted Nickelodeon Slime Cup! Plus, as part of Nickelodeon's Slime Cup, Nick UK & Eire and Nick HD will be showing your favourite Nick stars in your favourite shows! Round One of Nickelodeon's Slime Cup, its Team Blue, featuring Nickelodeon Stars Jack Griffo, Breanna Yde, Plankton, Wanda and Leonardo, versus Team Red, featuring Zoran Korach, Curtis Harris, Sandy Cheeks, Craig, and Raphael! Round Two of the Nickelodeon's Slime Cup will see Team Purple, featuring Benjamin Flores Jr., Addison Riecke, Squidward Tentacles, Sanjay Patel and Donatello ("Teenage Mutant Ninja Turtles") go up against Team Yellow, featuring Amber Montana, Cameron Ocasio, Patrick Star, Timmy Turner and Michelangelo. Catch the Nickelodeon Slime Cup, every Saturday and Sunday from Saturday 31st May 2014, only on Nick! Nick UK's Nickelodeon Slime Cup is part of Nickelodeon's all-new global interactive multi-platform brand campaign, in which, fronted by Slime Cup Ambassador and mascot, SpongeBob SquarePants, four teams consisting of 20 players from the hit Nick shows "SpongeBob SquarePants", "The Haunted Hathaways", "The Thundermans", "Fairly OddParents", "Teenage Mutant Ninja Turtles", "Sanjay and Craig" and "Sam & Cat" will be battling it out to take home the coveted award – the Nickelodeon Slime Cup trophy. Where Nickelodeon's biggest stars go head-to-head in the messiest event of the year! First up, it's Team Blue Vs. Team Red, in Nickelodeon's Slime Cup. Starts the 31st of May, on Nick! Follow NickALive! on Twitter, Tumblr, Google+, via RSS, on Instagram, and/or Facebook for all the latest Nick UK and Nickelodeon Slime Cup 2014 News! Nickelodeon UK, the number one commercial kids TV network in the UK, and the Digiguide TV guide have announced the exciting Nick UK News that Nickelodeon UK and Ireland and Nickelodeon HD UK will start to premiere and show more brand-new episodes of Nickelodeon's popular family comedy series "Wendell & Vinnie" from Monday 2nd June 2014 at 7:00pm (repeated at 8.00pm on Nick+1)! [Wendell Bassett: Are you asleep? Vinnie Bassett: I'm up, I'm up. What time is your flight? Vinnie: The name tag... I. P. Immapants? Wendell: Does anyone know I.P. Immapants?! Good thing Vinnie's got Wendell! Wendell and Vinnie are back with brand-new episodes, starting on the 2nd of June, on Nick! "Wendell & Vinnie" is a multi-camera scripted half-hour sitcom that follows 30-year-old Vinnie Bassett (Jerry Trainor, "iCarly", "T.U.F.F. Puppy") living the life of a carefree bachelor, when he suddenly becomes the legal guardian of his precocious, wise-beyond-his-years nephew, Wendell (Buddy Handleson, "Shake It Up") forming a hysterical odd-couple family dynamic. Nicole Sullivan ("Rita Rocks", "MadTV", "The King of Queens", "The Penguins of Madagascar") also stars as Vinnie's older unlucky-in-love sister, Wilma, with Haley Strode ("Gangster Squad") as Vinnie's newly divorced neighbor and love interest, Taryn. Follow NickALive! on Twitter, Tumblr, Google+, via RSS, on Instagram, and/or Facebook for the latest Nickelodeon UK and Wendell & Vinnie News! Nickelodeon, the number-one entertainment brand for kids and families, has announced the very exciting Nickelodeon News in the following press release, from The Futon Critic, that, for the first time ever, Nickelodeon is giving viewers the chance to choose the endings to brand-new episodes of their favorite series during a live vote on www.nick.com on Saturday 31st May 2014, beginning at 8:00pm (ET/PT)! 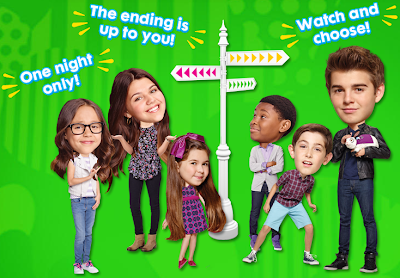 "Choose Your Own Ending" night will feature premieres of "The Thundermans" and "The Haunted Hathaways" and during each broadcast, NickHeads will determine its outcome in real-time, to play out by the end of the episode! In the 8:00pm (ET/PT) premiere of the brand-new "The Thundermans" episode "Up, Up, and Vacay!," the Thundermans enter a family competition to win a dream vacation. But when they can't agree on a destination, they enter as two different teams, boys vs. girls, with the winners getting to decide. Following the episode, log on to www.nick.com to vote for where the family should spend their vacation. Will it be the girls' European adventure or the guys' beach trip? Then, it's a battle royal in the 8:30pm (ET/PT) premiere of the all-new "The Haunted Hathaways" episode "Haunted Voodoo". Louie pranks Frankie so good that she gets a Louie voodoo doll on which to exact her revenge. The trick works until Louie shows up with a Frankie voodoo doll, and they are instantly pitted against each other in a pranking battle for the ages. Go to www.nick.com to vote on the last prank. Will it be Frankie's prank or Louie's prank? Beginning tomorrow, Friday 23rd May 2014, fans can log on to www.nick.com/ending to prepare for the big premiere night by playing a companion game, "The Choose Your Own Ending", which will prepare kids to tune-in to the main event on Saturday 31st May 2014. To celebrate the all-new episodes of "The Thundermans" and "The Haunted Hathaways", Nickelodeon USA's press office has unveiled super sneak peeks of both brand-new episodes, which you can watch in the online streaming video clips below! For the first time ever, Nickelodeon is giving viewers the chance to choose the endings to brand-new episodes of their favorite series during a live vote on www.nick.com next Saturday, May 31, beginning at 8:00p.m. (ET/PT). "Choose Your Own Ending" night will feature premieres of The Thundermans and The Haunted Hathaways and during each broadcast, kids will determine its outcome in real-time, to play out by the end of the episode. In the 8:00p.m. (ET/PT) premiere of The Thundermans "Up, Up, and Vacay!," the Thundermans enter a family competition to win a dream vacation. But when they can't agree on a destination, they enter as two different teams, boys vs. girls, with the winners getting to decide. Following the episode, log on to www.nick.com to vote for where the family should spend their vacation. Will it be the girls' European adventure or the guys' beach trip? Then, it's a battle royal in the 8:30p.m. (ET/PT) premiere of The Haunted Hathaways "Haunted Voodoo." Louie pranks Frankie so good that she gets a Louie voodoo doll on which to exact her revenge. The trick works until Louie shows up with a Frankie voodoo doll, and they are instantly pitted against each other in a pranking battle for the ages. Go to www.nick.com to vote on the last prank. Will it be Frankie's prank or Louie's prank? Beginning tomorrow, fans can log on to www.nick.com/ending to prepare for the big premiere night by playing a companion game, "The Choose Your Own Ending," which will prepare kids to tune-in to the main event on Saturday, May 31. The Thundermans “Up, Up, and Vacay!" from Elizabeth Cain on Vimeo. The Haunted Hathaways “Haunted Voodoo” from Elizabeth Cain on Vimeo. Nickelodeon, the number-one entertainment brand for kids and families, has announced and confirmed the exciting Nickelodeon News in the following press release, from TVByTheNumbers.com, that Nick USA will start to premiere and show the networks brand-new game show "Webheads" daily starting Monday 2nd June 2014 at 6pm (ET/PT)! 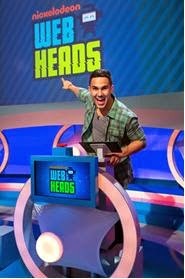 Santa Monica, Calif.- May 22, 2014 – Nickelodeon combines the hilarious world of viral videos, physical challenges and slime in a fresh new format with its latest game show creation, WebHeads, premiering daily beginning Monday, June 2 at 6 P.M. (ET/PT). Hosted by Nickelodeon and Big Time Rush alum, Carlos PenaVega, and produced by Ryan Seacrest Productions, the series features kid contestants as they compete in elimination challenges revolving around viral videos. Each round will test kids' video instincts – from predicting outcomes to guessing their popularity, as voted by the studio audience. The show will anchor Nickelodeon's weekday live-action block with all-new episodes premiering Monday through Friday during the month of June. "We are always thinking of new ways to creatively deliver content to kids, and WebHeads speaks to their love for games and short form content, while adding a fresh comedic twist of challenges," said Russell Hicks, Nickelodeon's President of Content Development and Production. "We are also thrilled to work with Ryan Seacrest Productions and have Carlos PenaVega, a long-standing member of the Nickelodeon family, host the show. His energy, charisma and raw natural talent make him the perfect fit for this project." "We're excited to work with Nickelodeon on our first game show, which we believe will appeal to everyone in the family," said Executive Producer Ryan Seacrest. "Carlos is a terrific host, and we believe our format combines the popular obsession of viral videos with fun physical gameplay in a fresh and engaging way." WebHeads will feature some of the internet's most watched viral videos in fun and inventive ways with games that engage and encourage viewers to play along. It is the perfect storm of brains, brawn and hysterical content that kids are compulsively consuming online. WebHeads is produced by Ryan Seacrest Productions, with Ryan Seacrest and Adam Sher serving as Executive Producers for the series. Beginning June 2, fans can play "WebHeads To Go!" where players can experience the funny physical challenges on Nick.com, in the Nick App or on mobile web. The game puts players to the ultimate test with multiple mini-games, such as U-Tubed, Log On/Log off and Moment of Impact, which mimic themes in the show. WebHeads fans can also go online and in the Nick app to engage with the brand new show. They can get to know WebHeads' host in a series of short Carlos Cam videos, check out weekly sneak peeks of the show and watch featured full episodes. Beginning June 3, WebHeads will be available for download through iTunes, Amazon, Xbox, Sony, Vudu, Nook and Fios Flex View. Host Carlos PenaVega broke on to the scene in Nickelodeon's hit live-action comedy series Big Time Rush, as music group member Carlos Garcia. Also a member of the real-life band, Big Time Rush has produced 3 full studio albums and embarked on 5 different tours. Most recently, PenaVega wrapped production on the indie film La Vida Robot, based on a Wired article about four undocumented Mexican-American high school students who form a robotics club and compete against MIT in a national robotics competition. Follow NickALive! on Twitter, Tumblr, Google+, via RSS, on Instagram, and/or Facebook for the latest Nickelodeon and Webheads News! Nickelodeon, the number-one entertainment brand for kids and families, has announced in the following press release, from Nickelodeon's Kids and Family Press Site, NickPress.com, that Nickelodeon and KIDROBOT, a premier creator and dealer of limited edition art toys, signature apparel and lifestyle accessories, have joined creative forces for the launch of an exclusive "Teenage Mutant Ninja Turtles x Kidrobot" capsule collection! Featuring designs from Nick's CG-animated series and the classic 1980s comics, the new line includes keychains, 3 inch vinyl mini-figures, 7 inch vinyl medium figures, apparel and more. Beginning May 2014, the "Teenage Mutant Ninja Turtles x Kidrobot" product line will be available at KIDROBOT retail stores, Kidrobot.com and select specialty stores. Considered one of the most popular kids' entertainment brands of the 1980s, and inspired by the original "Teenage Mutant Ninja Turtles" TV show from 1988, Kidrobot has specifically set out to pay homage in the classic form. Additionally, this will also tie in to the upcoming "Teenage Mutant Ninja Turtles" movie from Paramount Pictures releasing August 8th and inspired by the authentic Turtle look from the 1990 Teenage Mutant Ninja Turtles movie. Santa Monica, Calif.–May 20, 2014 – Nickelodeon and KIDROBOT have joined creative forces for the launch of an exclusive Teenage Mutant Ninja Turtles x Kidrobot capsule collection. Featuring designs from the CGanimated Nickelodeon series and the classic 1980s comics, the new line includes keychains, 3 inch vinyl mini-figures, 7 inch vinyl medium figures, apparel and more. Beginning this month, the Teenage Mutant Ninja Turtles x Kidrobot product line will be available at KIDROBOT retail stores, Kidrobot.com and select specialty stores. "There is a very rich legacy with the Turtles franchise, which we gravitated towards when designing the line. We tailored our design cues and character selection based on the cult classic 80’s Turtles," said Galen McKamy, Creative Director of KIDROBOT. "Most of us at KIDROBOT grew up with the Turtles, so naturally we are excited to rally behind the property. To put it frankly, we love this line. We could not be more thrilled to launch this to the world." "We're thrilled to partner with Kidrobot on this brand-new collection of Teenage Mutant Ninja Turtles products for kids and adults," said Manuel Torres, Senior Vice President, Global Toys and Publishing, Nickelodeon Consumer Products. "KIDROBOT's creative stamp on the hit-franchise will be sure to please both new and existing fans. "Kidrobot is proud to partner with Nickelodeon to bring classic Teenage Mutant Ninja Turtles to fans like never before," said Allen Richardson, Kidrobot's Director of Marketing and Licensing. "Combining Kidrobot's distinctive design with the Turtles' everlasting appeal, we are able to create a collectible line that speaks to both classic fans and newer ones alike." Considered one of the most popular kids' entertainment brands of the 1980s, and inspired by the original Teenage Mutant Ninja Turtles TV show from 1988, Kidrobot has specifically set out to pay homage in the classic form. Additionally, this will also tie in to the upcoming Teenage Mutant Ninja Turtles movie from Paramount Pictures releasing August 8th and inspired by the authentic Turtle look from the 1990 Teenage Mutant Ninja Turtles movie. Founded in 2002, Kidrobot is acknowledged worldwide as the premier creator and dealer of limited edition art toys, signature apparel and lifestyle accessories. An innovative cross between sculpture and conceptual art, Kidrobot offers not only a powerful medium for today's international fashion designers, illustrators and graffiti artists, but also the creative canvas for emerging street trends and pop art. Kidrobot toys retail anywhere from $5 to $25,000, and many appreciate in value over time. Kidrobot showcases and sells its unique take on contemporary culture at Kidrobot stores in San Francisco, Los Angeles, Boulder, and Las Vegas with temporary pop‐up stores appearing cities worldwide. Our products can be found online at Kidrobot.com and in select retailers worldwide. Follow NickALive! on Twitter, Tumblr, Google+, via RSS, on Instagram, and/or Facebook for the latest Nickelodeon Consumer Products and Teenage Mutant Ninja Turtles News!